Protection and sustainability of water resources are most effectively addressed on a watershed basis, while local governments make planning and budgeting decisions on a jurisdictional basis. 15.O. Each local government should integrate watershed planning efforts with other planning efforts to make more informed planning and budgeting decisions. 15.O.1. OKI will share information about watersheds in the region where land use decisions, pollution, and/or flooding pose risks to human health and welfare, natural systems or desirable uses of water. 15.O.2. OKI will continue to assist local governments, other utilities and watershed groups in establishing source water protection programs, wellhead protection programs and undertaking watershed restoration and protection programs. 15.O.3. 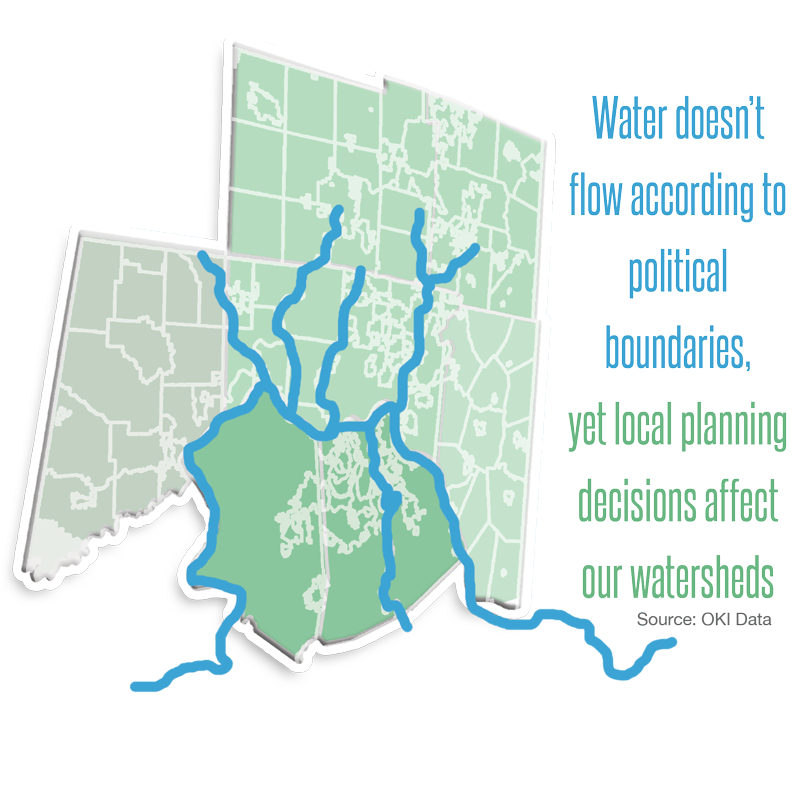 Local governments should use watershed plans, conservation district plans and source water protection plans in the development of comprehensive plan goals, objectives, policies and implementing regulations. 15.O.4. OKI will continue to provide technical assistance to protect and sustain water resources on a watershed basis.